It’s the HOLIDAYS! And this means more travel – either by car, plane, train, or boat….the holidays usually = some form of travel. From an Ayurvedic perspective, it means that Vata dosha will get aggravated. Vata dosha is the force of energy made up of the elements of air and ether, so any type of movement, especially air travel, will increase Vata. In addition, the colder climate experienced during the winter months, also increases Vata dosha due to colder temperatures. When Vata increases and gets out of balance, you might experience symptoms such as dry skin, constipation, gas, difficulty falling asleep or staying asleep, increased feelings of anxiety, overwhelm and even depression. Travel can definitely exacerbate these symptoms. BUT… there are steps you can take to prevent these symptoms from manifesting or getting worse, and bring your mental and physical symptoms back into balance if they have gotten a bit out of balance due to the colder weather or travel. All you need are a few simple ingredients and products and your travels will be a breeze! Make Rasa Tea and bring it with you and sip throughout the day while you’re traveling (recipe below). This is probably the number one tip and if you do anything at all, do this! It’s super hydrating and moisturizing at the cellular level and will prevent a lot travel side effects such as constipation and dry skin. 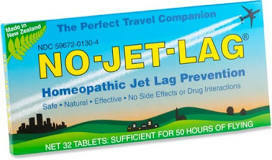 (If you’re already traveling and do not have time to make the Rasa tea, drink licorice or marshmallow tea). Take a small travel size bottle of oil and give yourself daily ‘abhyanga’ massages before or after your shower; at the very least, massage your feet at night before you go to sleep (link to my favorite abhyanga oil: http://www.saradausa.com/index.php?main_page=shopping_cart – choose the tridosha oil as it pacifies all doshas). Combine all ingredients and store in a glass jar. Use ½ – 1 tsp in food while cooking or as a garnish. 4. Create your own spritzer to bring with you by combining Vata pacifying essentials oils such as chamomile, vanilla, lavender, rose, geranium, or basil in a 2 ounce bottle filled with distilled water and spray it every time you need some grounding. 5. Bring some rose water with your and spray it on your face to cool your eyes and freshen your face while traveling. Combine all herbs together and store in a glass jar. To make tea, add 2 tsp of rasa tea mix to 8 ounces of boiled water and allow to steep for 10 minutes; strain and enjoy, you may add your sweetener of choice such as raw honey if you prefer your tea on the sweeter side. This tea is considered a demulcent and extremely hydrating on the cellular level. 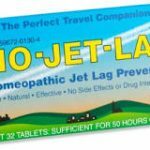 **One final tip… if you are traveling overseas, where you will experience more than a 3 hour time difference, purchase the homeopathic supplement pictured below – it works like magic and helps alleviate jet lag (just follow the instructions on the package). If you’re in Long Beach, schedule an appointment to receive a rejuvenation body treatment or an Ayurvedic consultation.